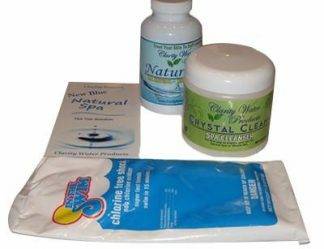 Purchase this kit to get everything you need to get started converting you hot tub from chlorine or bromine to Natural Spa the all natural hot tub water treatment. This kit includes 3 bottles of Natural Spa, (approx. 6 Month Supply) and 1 bottle of Crystal Clean & 1 Free bag of Non-Chlorine Shock. 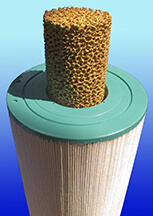 Not for use in pools, ponds, wooden hot tubs, spas or hot tubs without insulating covers. 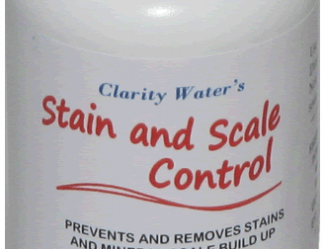 Clarity’s Natural Spa is not a sanitizer, biocide, or pesticide. 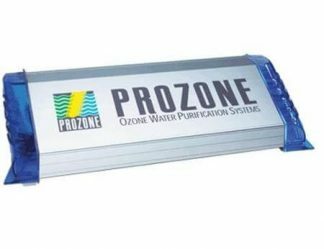 The EPA will only register a product as a sanitizer, biocide or pesticide if it contains an “active ingredient” that is toxic or deadly to animals and/or plants. 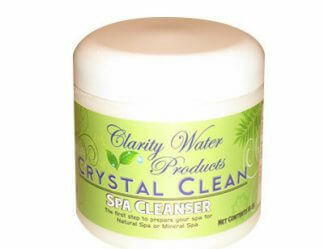 Clarity’s Natural Spa does not contain any “active ingredient” listed by the EPA, OSHA, or the NSF. 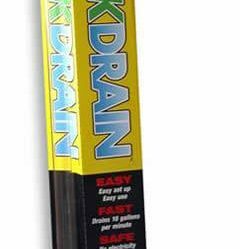 Therefore the product can not be registered as a pesticide, algaecide, or biocide. 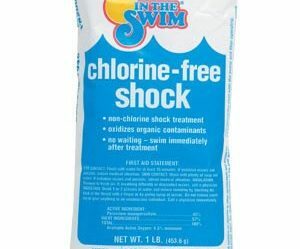 You will most likely need more Non-Chlorine Shock – We recommend that you add at least two extra bags of non-chlorine shock to your order to take advantage of the free shipping. 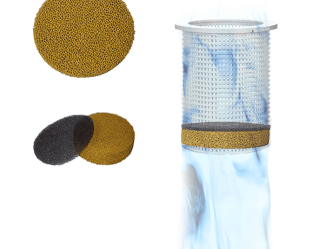 This kit is intended to convert a hot tub from chlorine, bromine or baqua to Natural Spa. 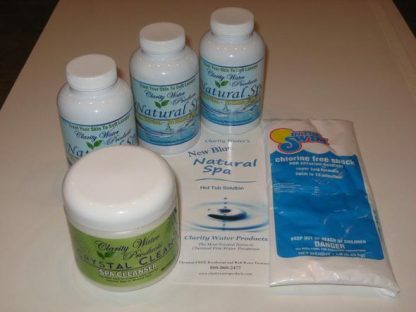 If you are just in need of more Natural Spa you should order Natural Spa and shock separately from this kit. 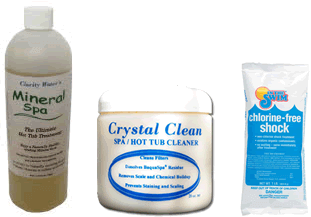 If you are converting to Natural Spa from our Mineral Spa you do not need this kit. 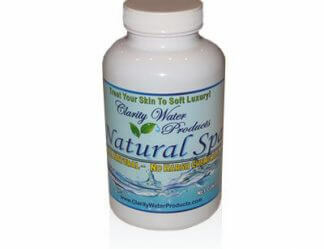 Just order separate bottles of Natural Spa.